INTO THE NEXT STAGE: What?! A Good Episode of ‘Hawaii Five-O’? You are at:Home»English»INTO THE NEXT STAGE: What?! A Good Episode of ‘Hawaii Five-O’? On Sunday, Jan. 20, CBS gave the post-AFC Championship slot to “Hawaii Five-O,” hoping viewers who didn’t usually watch the cop show might like what they saw and catch it in its regular time slot on Monday nights. The football game drew a whopping 41.5 million viewers and a gigantic 14.6 rating among the coveted 18-49 demographic; 13 million (4.1 in the demo) stuck around for McGarrett and his team. The following night, the network aired yet another new episode of “Five-O” at its regular 10 p.m. time, but viewership was back down to 9.6 million with a 2.2 rating in the 18-49 group, off .2 from the previous week. In other words, the stunt didn’t work. The week before, CBS had tried another gimmick, announcing viewers could pick the killer of the upcoming episode. Halfway through the show, they asked viewers to go to cbs.com to vote for one of three suspects. The producers had shot three different endings and they aired the footage of the person receiving the most votes on both coasts. That didn’t work either; ratings were the same as the last new episode in December. However, I’m surprised to say I was excited at watching the opening credits of the Sunday night show when I saw the list of API talent guest-starring in that episode: Lindsay Price, Jason Scott Lee, Ian Anthony Dale, Will Yun Lee, and Taylor Wily. For once, the API talent was higher than the white talent, five to two. In the closing credits, you could add at least four more APIs to five whites for a total of nine APIs to seven whites, probably another first in this series reboot, which started in 2010. It was like watching one of the original episodes from the ’70s where the number of API actors better reflected the racial makeup of the 50th state. The show opened with Steve McGarrett and Danno Williams tracking down two hoods, asking them what they’d done with Chin Ho Kelly (Daniel Dae Kim). Then we flashed back 14 hours earlier. Chin Ho’s sleeping when he wakes up to find two men in his room and he’s handcuffed to the bedpost. One of them knocks him out and he awakens in a maximum security prison full of inmates he helped put away — and who would kill him if they knew who he was. Great set-up (though highly unlikely — how did anyone sneak him into a maximum security prison?). Recurring villain Sang Min (Will Yun Lee) recognizes Chin Ho almost immediately and saves his life after Ka Leo (Jason Scott Lee) almost kills him. They bump into Leilani (Lindsay Price), a prison worker who almost helps them escape before one of other crooked guards whisks her away with the key. Then, the shifty Sang Min, sensing the tide turning, announces to the inmates that he’s found Chin Ho, hoping to gain favor with them. Just when you hate his guts, though, he sees Ka Leo about to deliver the killing blow to Chin Ho and he talks him out of it, reasoning the cop’s more useful to Ka Leo alive than dead because he can ask for something in return. Shortly after, the rest of the Five-O team breaks in and save the day. Unfortunately, the promotional clips showed them breaking into the prison via helicopter when they really should’ve focused on Chin Ho being in prison with guys who hate his guts. That way, they could’ve created some suspense about how — or if — he was going to get out safely. In the end, the team visits Chin Ho in the hospital as he recovers and Leilani stays a while. They exchange long smiles, hinting at a possible romance. Sounds like a great idea to me. One of the useful things about having Asian male regulars on a TV show is that you can give them love interests vs. Asian women who almost always get paired with non-Asian men. So go for it, producers! On the following night’s episode, the show opened with an Asian American woman named Amy Davidson (why do guest-starring non-villainous Asian characters on “Five-O” almost always have white last names? ), chief of staff for a senatorial candidate, who gets picked up in a bar and is later interrogated at gunpoint to the point where we believe she’s shot and killed. It turns out she was accosted by MacGarrett’s archnemesis Wo Fat (Mark Dacascos), who let her live but bugged her to make sure she didn’t give him away. It was nice for once, to see a “victim” who wasn’t white, which has become so predictable for this show. However, when Five-O realizes she was lying to them and she shows them the wire on her, a sniper from across the street shoots her through the head. McGarrett and Williams shoot the assailant dead as he exits a parking garage and he’s also Asian. Toward the end, when Wo Fat tries to escape in the bushes, he comes across a pidgin-speaking local (wow, when do I ever hear that unless it comes from recurring comic relief actor Taylor Wily? ), and shoots him dead too! I also gritted my teeth over two other things: The governor showed up again. He’s black, which is ridiculous, since blacks make up only 3% of the state. One of Davidson’s co-workers was black, and the two senatorial candidates were both white men. Turns out the other candidate was in cahoots with Wo Fat, but the congressman Davidson worked for could’ve been API. Ever heard of Akaka? Inouye? Saiki? Matsunaga? Fong? Hirono? Hanabusa? With this show, it always seems to be one step forward, two steps back. In any case, another series with an Asian American regular, “Elementary” (Lucy Liu), gets the coveted post-Super Bowl slot this Sunday, so it’s nice that CBS is trying to help these shows. What the–? “Dated?” He never met her, remember?! “Dated seriously?” What does that mean? He started hitting his keyboard harder than before? Oh, give me a break! My brain hurts the more I hear about this stupid story. Movie to Support Department: This weekend, the much-delayed “Bullet to the Head” opens. It’s a violent buddy picture starring Sylvester Stallone and… Sung Kang (“Better Luck Tomorrow,” “Fast Five”)! I haven’t seen it yet, but it’s a big step forward when an Asian American gets to co-star in a mainstream film. So go support it. 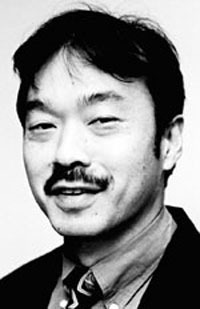 Missed Opportunity Department: In December 2010 at the funeral for Frank Emi, I met actor Bill Saito, older brother of actor James Saito (“Farewell to Manzanar,” “Eli Stone”). He was a jovial, fun-loving guy who said he read my column. Referring to the article I wrote about having been bullied in school, in which I ran my eighth- grade picture, he said, “Hey, you were good-looking!” Past tense (like I said, he was a fun-loving guy). Anyway, we started talking about his career and somehow discussed the original “Mission: Impossible” series, my favorite TV show of all time. 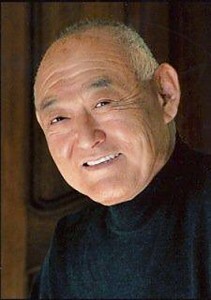 In the 1970 episode where the team goes to Japan (filmed at the Japanese Village and Deer Park in Buena Park), he played one of the uncredited wrestlers. One of the producers asked him who’d be good for the main undefeatable wrestler who also has a showdown with regular Peter Lupus, and Bill recommended an actor who went by just one name — Fuji. Bill kicked himself for not suggesting himself for the role. It was always on my mind, but I never got around to it. So I was saddened to learn he died on Nov. 14 at the age of 75. Sorry, sir. I ain’t reading this column. What is this, your 14th on Hawaii Five Oh? Dude, what the hell’s wrong with you? Wow, you’re really obsessed with race. I did read the piece. It was NOT very interesting and it WAS rather racist. Conclusion: column fail, comments win.